Calvino Prize A prize of $2,000 and publication in Salt Hill Journal is given annually for a work of fiction written in the fabulist experimental style of Italo Calvino. Submit a short story or an excerpt from a story collection, novel, or novella of up to 25 pages with a $25 entry fee. Find contest details here. The Family Narrative Project invites entries to our 2017 essay contest on the theme of family. At FNP, we know that family means many things to many different people. Feel free to define family broadly. We also know that family relationships can be complicated and wonderful and frustrating and supportive and destructive and confusing and breathtakingly loving. We know, in other words, that they have the power both to harm and to heal. We are open to essays that reflect the full range of family life. Contest details here. JuxtaProse Literary Magazine is open to short story submissions for its fiction contest. Entries should consist of a single story, of between 500 and 7,000 words. The winner will be awarded $500 and publication JuxtaProse. Up to three additional stories, each by a different author, may be awarded “Honorable Mention” status, for which they will receive $50 and publication. All finalists will be considered for publication, regardless of whether they receive honorable mention status. Stories must be previously unpublished in any form in order to be eligible. Submission details are here. Southeast Missouri State University Press presents the Nilsen First Novel Prize. 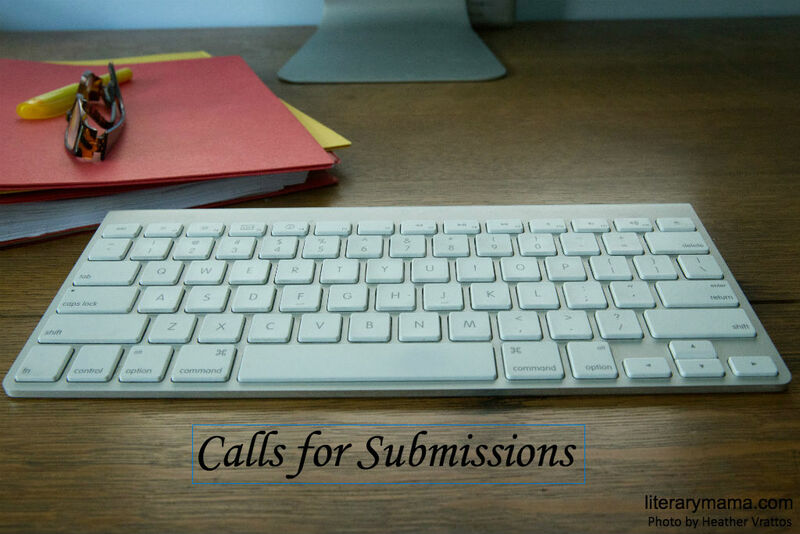 Submissions must be previously unpublished novels, novellas, or collections of closely linked short stories. Stories or excerpts may have been previously published. To be considered for the prize, writers must not have published a full-length book of fiction. Winner will be announced by July 15, 2018. Follow this link for additional information. Narrative's Fall Contest s is open to all fiction and nonfiction writers. They are looking for short shorts, short stories, essays, memoirs, photo essays, graphic stories, all forms of literary nonfiction, and excerpts from longer works of both fiction and nonfiction. Entries must be previously unpublished, no longer than 15,000 words, and must not have been previously chosen as a winner, finalist, or honorable mention in another contest. Submission guidelines are here. The Matador Review is an online literature and art quarterly that seeks poetry, fiction, flash fiction, creative nonfiction, and visual art submissions for its Winter 2018 issue. They invite all unpublished literature written in the English language (and translations that are accompanied by the original text). An "alternative" magazine, their purpose is to promote work that is thought-provoking and unconventional; "we want the controversial and the radical, the unhinged and the bizarre; we want the obsessive, the compulsive, the pervasive, the combative, and the seductive." Submission information can be found here. Backbone Press, in these times of anti-immigrant sentiment and racial intolerance, announces The Shared Dream Chapbook Contest for immigrant poets. The final judge will be poet Janine Joseph, the author of Driving Without a License (Alice James Books, 2016) winner of the 2014 Kundiman Poetry Prize. The winning manuscript with be published by Backbone Press and the author will receive a prize of $250. Please see our submissions page for full guidelines. Scribes Valley Publishing is accepting submissions for our 15th annual short story writing contest. All finalists are published in an annual contest anthology, both print and electronic versions. Monetary prizes for top 3 finalists are based on contest participation – the more entries we receive, the bigger the prize amounts. In addition, all finalists receive a copy of the finished anthology. Thrill us…amaze us…entertain us…TELL US A STORY! Details available on the site. SmokeLong Quarterly is currently accepting flash fiction submissions for its 2018 Kathy Fish Fellowship for new and emerging writers. The winner will be considered a “writer in residence” at SmokeLong (note: position is virtual) for four quarterly issues (March, June, September, and December 2018). Each issue will include one flash by the Fellowship winner. The winner of the Fellowship will also receive $500.00. Fellows will also have the opportunity to work with SmokeLong staff and participate in online writing workshops. For all guidelines and submission information, visit the site. This Side of the Divide Anthology seeks short fiction from emerging and established authors exploring the United States West. We’re seeking fresh, original views of the western U.S. Our aim is to capture this region’s unique essence in all of its cultural and geographic diversity. Selected writers will receive a complimentary copy of the book and a payment of $100. Stories should be 3,000-5,000 words. Please visit baobabpress.com/submissions for details. Palamedes Publishing seeks submissions for the forthcoming anthology, Finding Light in Unexpected Places: An Anthology of Surprises. We seek previously unpublished, creative essays that explore the beauty and light found in moments of sorrow and discomfort as well as in those of the everyday. We seek artfully written pieces on the unexpected moments that surprise, inspire and console with their beauty. Click here for guidelines. The Fourth River seeks submissions for its weekly online publication, Tributaries. Where do we, writers of color and the LGBTQ community, find ourselves in this landscape of the natural/unnatural world? Tributaries wants to see pieces that explore the relationship between the individual and place, both in conflict and in harmony. We want writers to engage with place in a variety of ways--place and fear, place and isolation, place and solace, place and violence. We live on a planet where grey is the new green, where buildings are new trees, and where concrete is grass. Writers of color or members of the LGBTQ community may submit one poem or up to 500 words of nonfiction prose that addresses the preceding editorial statement. Submission details here. Little Patuxent Review is seeking submissions of nonfiction, fiction, poetry, and visual art for its unthemed Winter 2018 issue. LPR publishes diverse voices and aesthetics and encourages both emerging and established authors to submit. Details here. TINGE Magazine, Temple University's online literary journal, is seeking submissions of fiction, poetry, and nonfiction. We do not have any specific aesthetic criteria, except to say that we seek pieces of exceptional literary quality, not genre work. Please visit our submissions page for details. StoryQuarterly will be accepting short fiction submissions starting September 15, 2017. Accepted work will be published in StoryQuarterly 51. Limit: Up to 6250 words. Electronic submissions only. Please visit our website for more information and a link to our submission upload form. Clockhouse is an eclectic conversation about the work-in-progress of life--a soul arousal, a testing ground, a new community, a call for change. We seek poetry, nonfiction, fiction and dramatic writing for our 2018 issue, and are interested in diverse voices and nontraditional narratives, and in writing that attempts to understand our place in the world and responsibility to each other. Visit our submissions page for more.